Fine needle aspiration cytology (FNAC) is a diagnostic test used for the investigation of lumps and nodules. This test is usually performed after observing a suspicious lump, such as enlarged lymph node or breast lump. Abnormalities found in the imaging tests, such as ultrasound, mammography, sonography and X-ray often need to be confirmed by FNAC test. 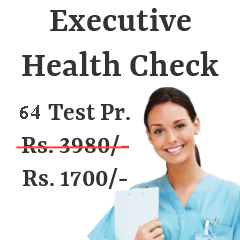 Many health care centers in India offer the facility of Fine needle aspiration cytology test. For your convenience, we have provided a list of diagnostic centers to help you locate the nearest center providing facility of FNAC test across various cities in India. FNAC test is simple, quick and non-invasive. It is less painful compared to surgical biopsy method where tissue sampling is involved. FNAC is a less time consuming diagnostic method as we can get analysis of lumps done within 3-4 days. The lumps to be tested are of two types, viz. palpable and impalpable lumps. Palpable lumps can be felt, while impalpable lumps are the ones which can be detected by imaging tests such as X-ray or ultrasound. FNAC is most commonly used to investigate lumps found in front of the neck in the thyroid gland or in the breasts. However, it is also found useful in testing the lumps observed in other parts of body. FNAC is an important initial test for detection of cancer. Fine needle aspiration is an important test used for chorionic villus sampling, many types of body fluid sampling and ultrasound guided aspiration of breast cysts and of seromas. During FNAC, a thin and hollow needle is inserted into the lump or an organ of the body, and a small amount of tissue is removed for microscopic examination. Tissue or fluid from the lump is collected in the syringe. This process requires few seconds to few minutes for completion. After gentle removal of needle, slight pressure is applied by the doctor to stop bleeding. In cases where lumps are not found easily, imaging tests, such as X-ray, ultrasound, mammogram or CT scan need to be performed. Once the location of lump is confirmed, FNAC can be performed. The needle will then gently be removed, and your doctor may apply slight pressure to help stop any bleeding. After the removal of tissue or fluid from the lumps, it is sent to the laboratory for further investigations. The test results of FNAC can be different based on the nature of the tested lump. The results can show that the lump can be either completely benign i.e., non-cancerous, malignant i.e., cancerous or non- definitive which needs to be confirmed by biopsy procedure. FNAC test is either performed by a cytopathologist or a surgeon. In case where imaging tests are required, the test may be performed by an interventional radiologist - one who is well-trained in biopsy treatments using X-ray or ultrasound technique. To ensure accurate results, it is very essential to know prior to the test that, general practitioner to radiologist and surgeon to pathologist; every health professional involved has experience of fine needle aspiration testing. Food intake is not allowed before few hours of the test. One week before the procedure, Non-steroidal anti inflammatory drugs (NSAIDS), such as ibuprofen, naproxen are not allowed to take. Blood tests such as clotting test need to be done before two weeks of the FNAC test. Antibiotic prophylaxis may be required. Blood anticoagulant suspension may be required. Before starting FNAC test, vital signs such as temperature, blood pressure and pulse need to be measured. In case of anxious patients, sedation is provided through an intravenous administration. For less anxious patients, oral medications can be provided prior to the test. Advantages of FNAC test are listed below. The most common complication is tenderness or slight bruising of the area for some days after the FNAC procedure. Discomfort can be relieved by use of an over-the-counter pain reliever as well as application of an ice-pack for short periods. Mild analgesics can be used post operation to reduce the pain. NSAIDS are not allowed to be taken even after the completion of FNAC test. It can be an exception in case of cardiac and neurological conditions. It is very uncommon to find any infection, as the whole process is sterile. Though infections rarely happen, they need to be treated with antibiotics. FNAC test is very reliable when it is carried out by a trained FNAC practitioner. The nature of benign and malignant nature of tissues or fluid can be clearly confirmed by the FNAC test. In the case of benign diagnosis, surgery is not required. On the other hand, confirmation of malignant tumor requires surgical treatment. 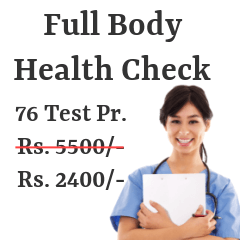 We are here to help you locate the suitable diagnostic center with the provision of FNAC test. 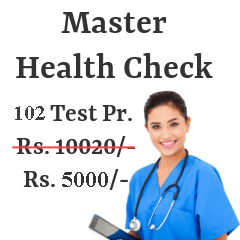 We have compiled the list of diagnostic centers from the major cities in India. Please select the suitable package from the given packages on our website. We wish to provide you the best possible services.